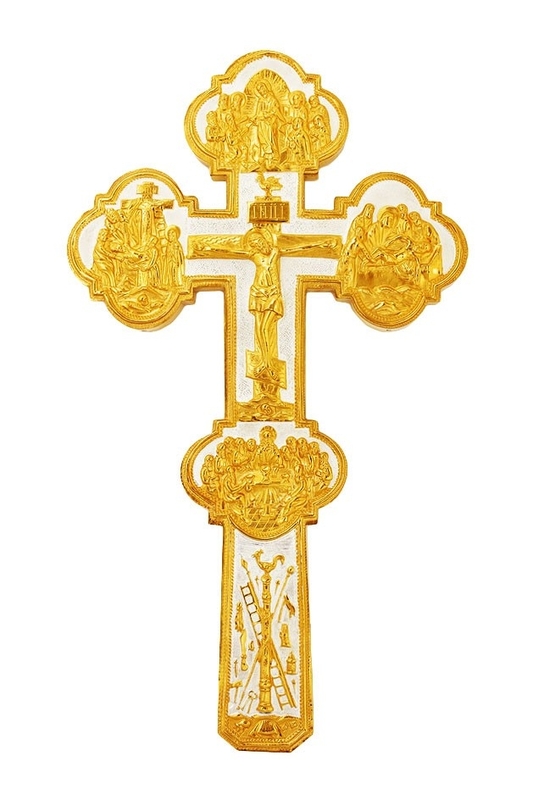 Blessing cross no.04 - Istok Church Supplies Corp. Traditional Orthodox blessing cross. Brass, gold-gilding, silver-gilding. Size: 6.7''x12.2'' (17x31 cm).